I really love this little moon lamp, it’s the right brightness and the detail is amazing. 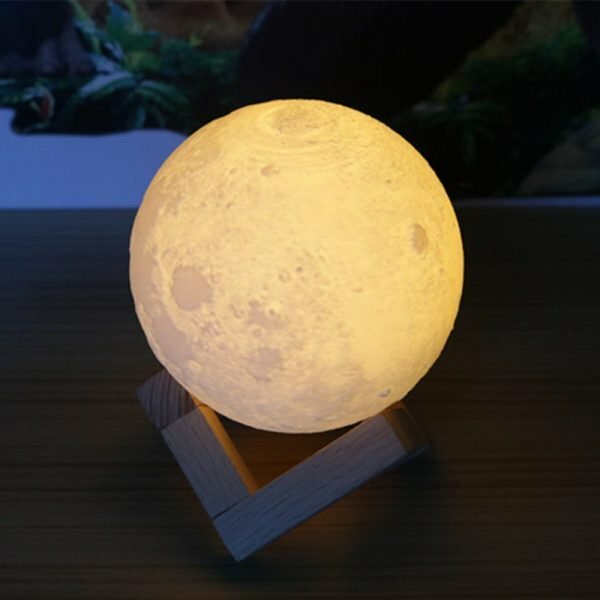 It has two different light options, one more yellow white and one true white which is nice depending on how bright you want the moon to appear and what the lighting is like in the room you’re in. My only complaint was the obvious lines around the sides of the moon, you can tell it was 3D printed. The moon was also smaller than I expected and I think that’s because the item photos show it much larger than it is in real life. 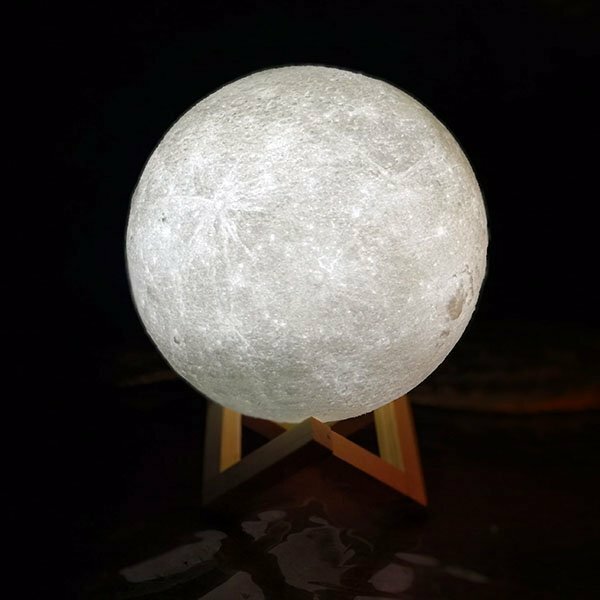 The hardware of the on/off switch and the charging port being one spot at the bottom of the moon is awesome as it keeps the hardware from subtracting from the beauty of the lamp. The stand was hard to put together but the packaging and overall quality product are good. Love this little light. 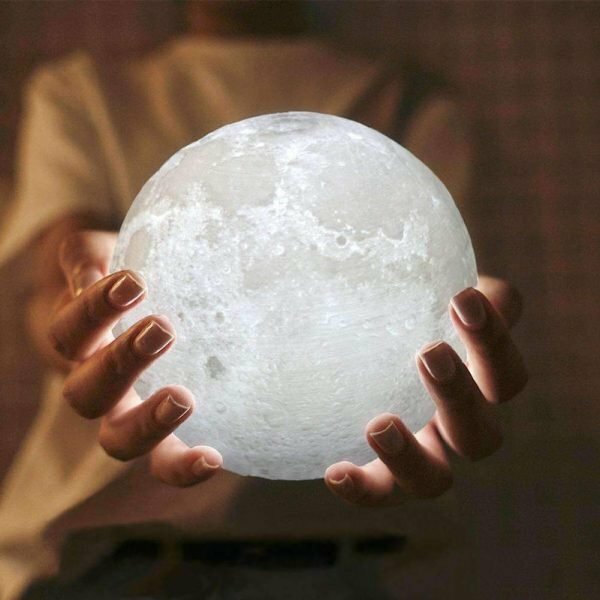 The touch sensor is so neat, & allows you to change not only the brightness of the moon, but also how it glows. 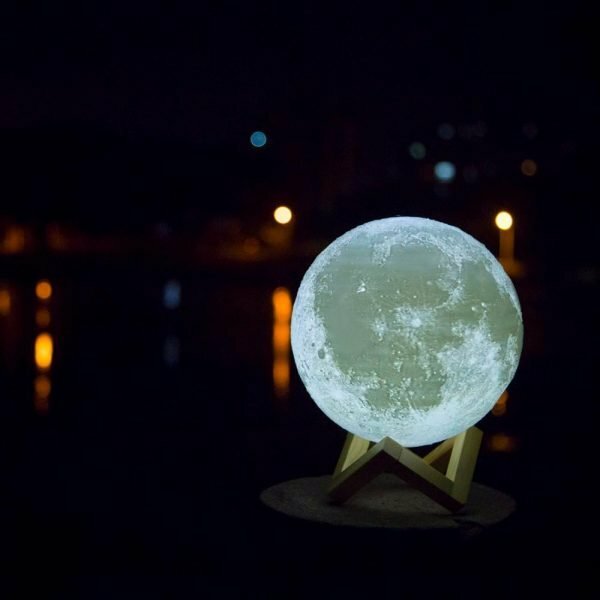 There is a brighter white moon, which acts better as a night light, and a beautiful harvest moon which just looks calm and soothing. 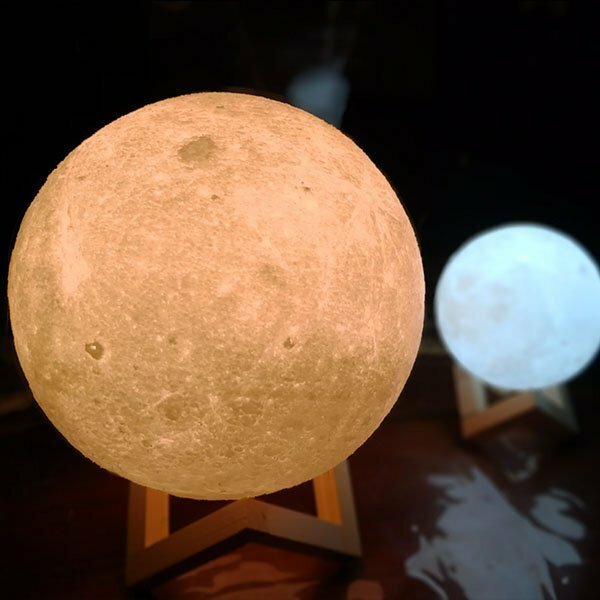 My only complaint is that you can see the lines on the moon from being 3D printed, but its very minor considering all the detail that went into the light itself. Would highly recommend. I did not purchase this as a gift, but I’ll consider it a gift to myself. I am totally in love with the feature that it can be charged and then unplugged for use. It doesn’t look nice when you see a wire just hanging out. The only issue I had was that I got confused on how to build the stand itself. There were no instructions, so I decided to just look at the picture from the instruction booklet and copy it. 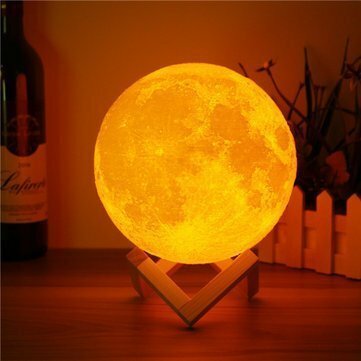 Besides that, I love the moon lamp. Exactly as pictured and described! Easy to charge; charge lasts a long time; two colour options (white or warm yellow) and several levels of brightness available at the touch of a finger. The globe is a little smaller than I envisioned – but is exactly as noted in the specs – so I would suggest ordering the larger size. LOVE this little beauty! My husband bought this for me as a gift and it’s great! 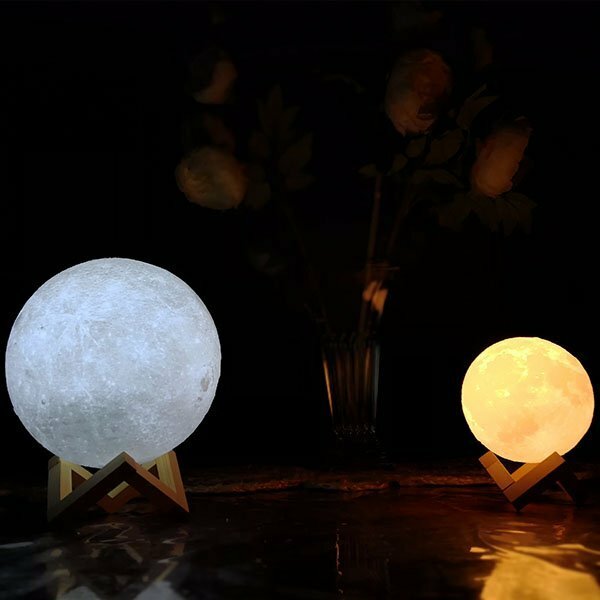 Very realistic with two different light settings–one white light and one yellow light. 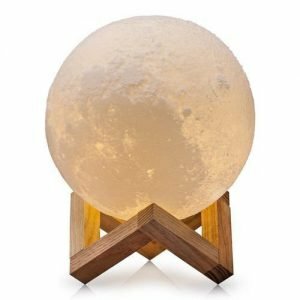 Great little decorative lamp piece.